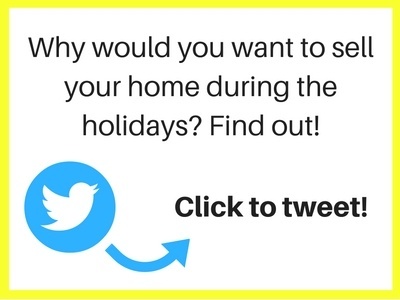 If you’ve found yourself facing either a winter season PCS or a potential retirement with a pending final PCS, you’ve likely landed on this page because you need helping make a big decision: Should I take my house off the market during the holidays? If this isn’t your first PCS rodeo, you already know the usual schtick about listing during the winter months: no one visits homes when it’s cold outside, everyone is way too busy spending their cash at the mall (and by “the mall,” I mean online--who has time to go to the mall? ), and no one moves during the winter anyway, right? Well, mostly wrong. If you’re part of the select few who are fortunate enough to miss having your precious items travel cross country in melting 100 degree plus weather (I’m still a tad tetchy about the state in which my HHG arrived this summer, in case you can’t tell), you’ve got more than ideal HHG transportation temperatures to look forward to this PCS. I know that this decision isn’t easy. I know that you’re considering either delaying your move or accepting temporary renters to help wait out the cold months and guide your property into the traditional moving season of the warmer months. This decision rests firmly in your hands, though. Just because waiting out the cold is the right decision for other people doesn’t mean it’s necessarily right for your military family. To help you make that decision, I’ve included a pros and cons list as a template to help you start. Please note, however, these pros and cons may not apply to your move or your particular duty station, as you determine whether or not you should take your home off the market during the holidays. Less homes on the market, which can mean less competition for your property. The “best” real estate professionals who are typically booked nine months or more in advance of a home sale are more likely to have the time to take on your last-minute home sale during the winter. Some areas don’t experience a dip in home sale action because they have a lot of foreign investment, such as Canadian and British homebuyers near MacDill AFB or Mexican homebuyers near Joint Base San Antonio. Those who are in the market to buy a home will move quickly. If they’re moving during this season, it’s likely for work, so they want to get in, get settled, and get on with their new job. You’re less likely to experience nosy browsers. Those with nothing better to do aren’t interested in braving the cold to tour your home because they’re bored or have a mild interest in entering the home buying market. Those folks are curled up inside by the fire, sipping hot cocoa, and thanking their lucky stars that they don't have to go out into the cold. 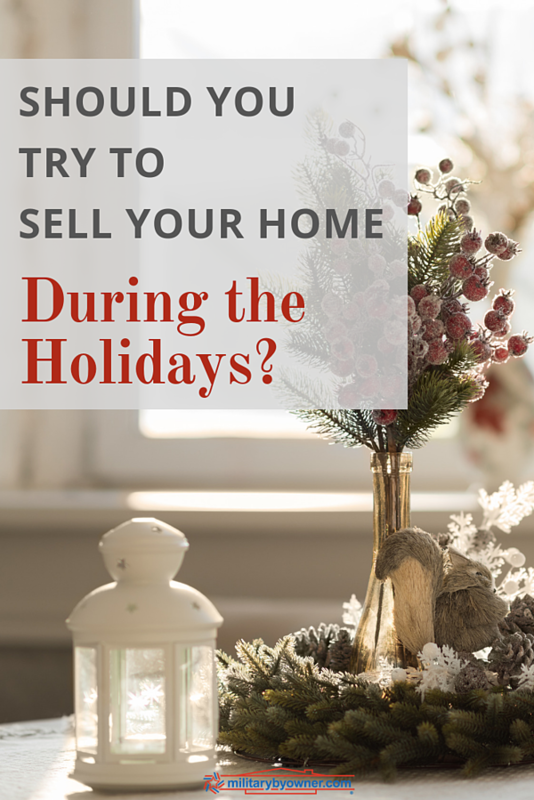 You can take advantage of the positive reception that most home shoppers have to a festive home during the holidays by sprucing things up with a seasonal wreath, seasonal scented plug-ins or candle warmers, and some greenery. Don’t go overboard on the decor, though; too much can easily have the opposite effect and strongly detract potential buyers. You can’t have guests visit during the holidays. Well, you could, but you’ll really need to have a good action plan for cleaning up after your brother-in-law or your sister’s kids if your listing agent calls with a hot lead who wants to see the house, today! Your home sale will likely take longer than usual to close because everyone is on vacation. It isn’t just that your real estate agent may take some vacation time, but the seller’s agent, each of their assistants, their transaction agents, the inspector, the appraiser, your lender, his assistant, the underwriter... You may have the stomach to wait this out, but what if your buyer doesn’t and then backs out? If you have a VA Home Loan buyer, you’re not even likely to receive the earnest money deposit for all the hassle if the buyer backs out at the last minute, and then you have to start over in January anyway. Once you’ve considered these factors, then consider the pros and cons of listing in your particular market by researching the data. Find out the specific market analytics for your area for the winter months for the past three years to learn whether homes at your price point sell well during the winter months. If you decide to list your home this holiday season, make sure to include a virtual video tour in your online marketing as well as street pointers from major streets leading to your home, as you’re less likely to luck out and have the residual interest of home buyers looking at other homes in your neighborhood during the winter months. 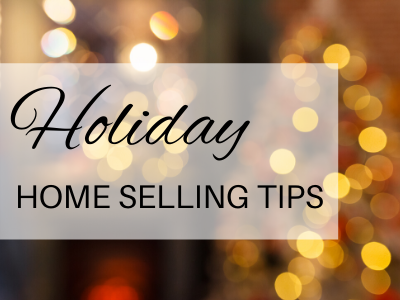 Want more information about selling your house over the holidays? Click below to download free tips!